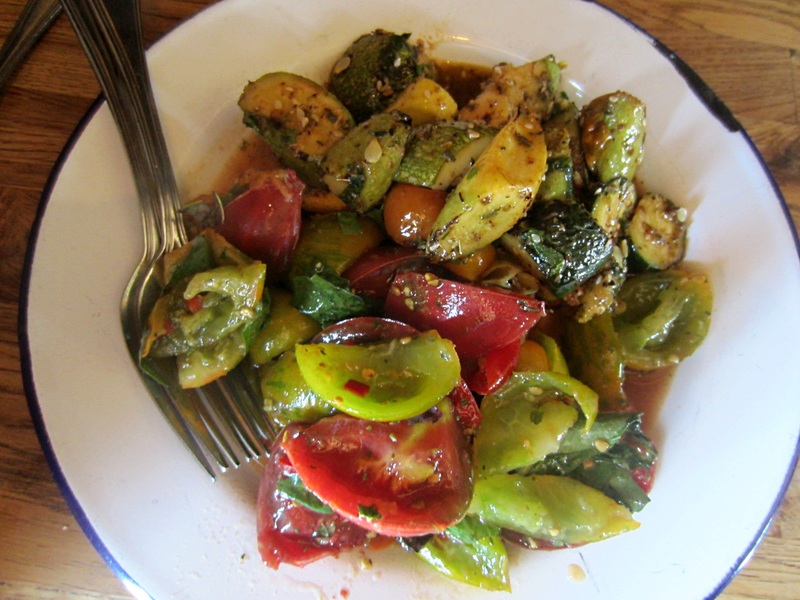 I chose the heirloom tomato salad and it was very flavorful due to the fragrant basil. I thought the tomatoes were a little overripe though. My husband really enjoyed his zucchini salad. It had heirloom tomatoes and was marinated in a herby, tasty dressing. 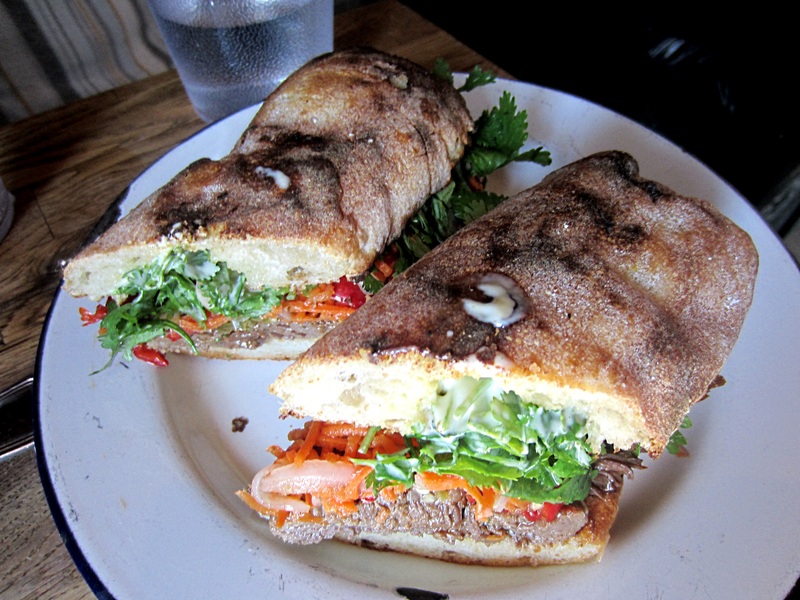 We always get this delicious bahn mi. The brisket was very tender and flavorful and had a nice kick from the jalapeño vinegar. The cilantro and carrots added flavor and crunch. A very satisfying sandwich. 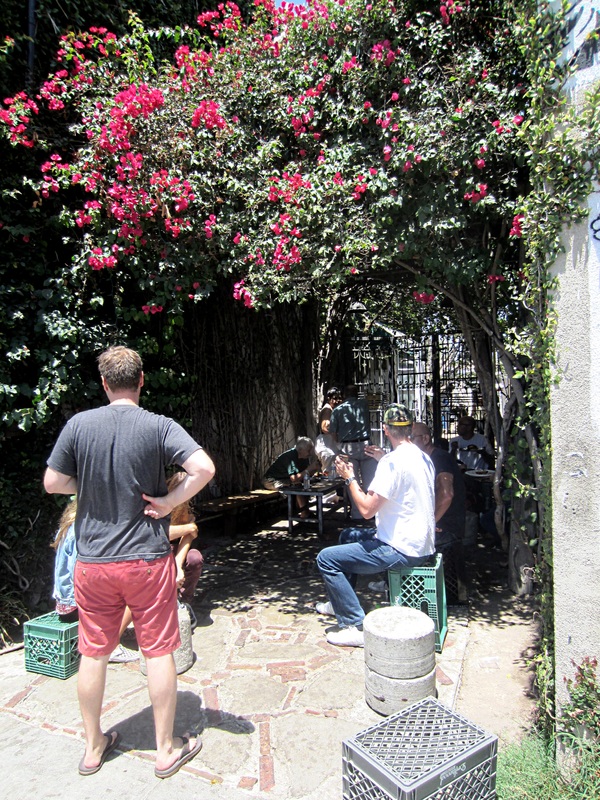 If you are lucky, like we were, you can eat at the counter inside. For the rest, you have to dine alfresco on the side of the GTA. 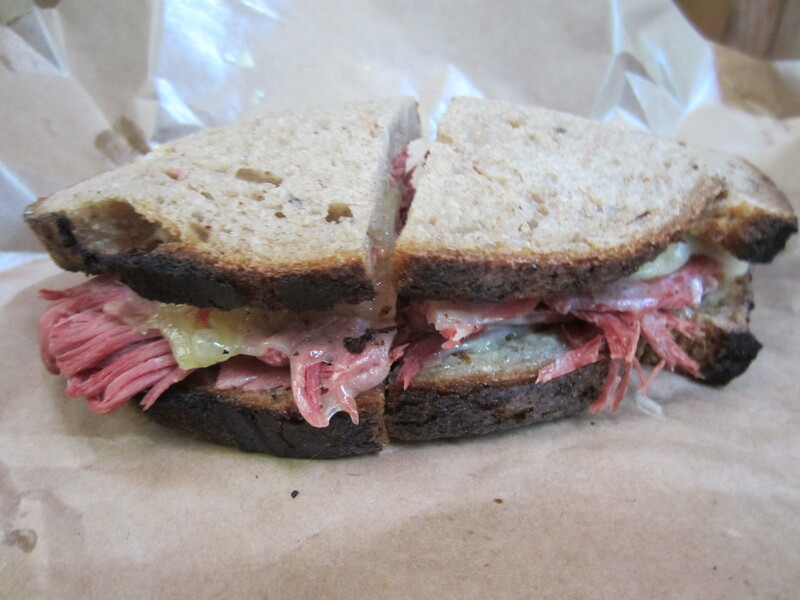 Their corned beef was good, but not great and at $15 it should be. We really like their Brisket Banh Mi. Very tender and delicious and it is only $12.